The company Ávoris of the Barceló Business Group, confirmed that, starting next April, it will fly to Costa Rica from Lisbon with a 330-300 aircraft, with a capacity for 388 passengers and with a frequency of 1 flight per week. The flight will be operated by the airline Evelop, which belongs to this Barceló group. The arrival of this flight from Portugal, is part of the efforts made by the Costa Rica Tourism Board, in the promotion of the country as a tourist destination. With the arrival of Evelop, there are 9 airlines from the European continent that connect with Costa Rica. According to the ICT, the company, which was born in 2013 to give more independence to the tour operators of the group, continues its transformation to become a regular airline. 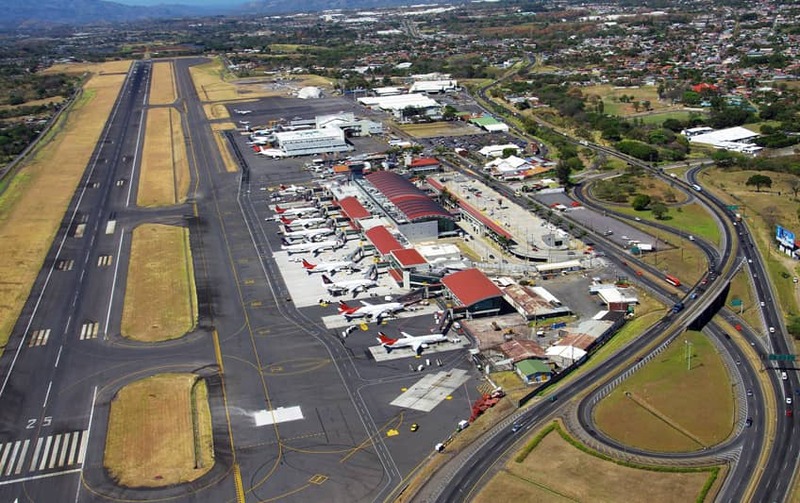 During the first year the route to the Costa Rica airports will be operated through tour operators -then, those who want to travel with them will have to book flights through a tour operator-; subsequently, and according to their results, they could move to operate as a regular line. Their last milestone, said the Institute, has been to join the International Air Transport Association (IATA), a step with which they hope to accede more easily to agreements with other companies that will allow them to reach new destinations through shared codes. Currently, the airline flies from Madrid to Cancun, Havana, Mauritius, Jamaica, Punta Cana and Santa Clara, in long distance. In addition, it connects the peninsula and the Canary Islands and the Balearic Islands with several cities in the United Kingdom, Portugal, Sweden and Norway. This month of April, it will start operating a route to San Jose, in Costa Rica, from Lisbon and another route to Maldives from Madrid. "The decision of the Barceló group, to fly to Costa Rica through the Evelop airline, is the result of a strategy that includes the strengthening and permanence of the airlines, the attraction of visitors to the country (through new tourism products, the of highly profitable markets, as well as promotion and marketing actions) and the development of tourism infrastructure”, as Mauricio Ventura, current Tourism Minister, said. On the other hand, Ricardo Fernández, marketing director of Ávoris said: "In recent years, Costa Rica has developed as a very attractive destination for many tourists from Portugal and Europe in general. We are happy to announce the start of operations in Costa Rica and of course, we also welcome Costa Ricans so they can travel to Portugal." Portugal operates in the low season of the country and Ávoris expects to increase the transit of tourists between both countries between 5% and 7% with this new opening. Which will imply that more tourists will be vacationing in Costa Rica, increasing and strengthening the tourist market of the country. The Minister of Tourism, Mr. Mauricio Ventura, pointed out the importance of promoting our destination, in the European continent: "The decision of the Barceló group, to fly to Costa Rica through the Evelop Airline, is the result of a strategy that contemplates the strengthening and permanence of the airlines, the attraction of visitors to the country (through new tourism products, the attraction of highly profitable markets, as well as promotion and marketing actions) and the development of tourism infrastructure." As mentioned before, offering Costa Rica as a new destination is part of the company's efforts to increase the number of passengers between 5% and 7%, which is part of their main objectives for this 2018. We are sure that all visitors will enjoy the best places to visit in Costa Rica when travelling here. Costa Rica is a wonderful place to visit as the destinations here are unique, whether you were looking for some family vacations in Costa Rica, your honeymoon, or a trip with friends. The country offers a lot of different locations and landscapes to be amazed with. Pristine beaches, mountains, rivers for adventure, wildlife, and authentic experiences are part of what they can expect when booking a flight to Costa Rica. If you already visited our country or travelled from Europe, please leave us our commentaries, we will love to hear from you!